Travel opens you up to a world of opportunity, it changes everything you ever thought about who you are and your place in the world. Amizade is thrilled to announce a new initiative right here in the city of Pittsburgh: The Hill District Global Engagement Coalition! Through the Coalition, we’re working with local partners to create international service-learning opportunities for young people in the Hill District. Over the course of a year, the 2019 Cohort of Global Engagement Ambassadors will practice skills like peer mediation and project management, discuss issues of slavery and colonialism, travel abroad to Amizade sites, return home to complete a service project in their own community, and then learn how to share stories from their experience. This is the first year of an ongoing program designed to make a positive impact on the lives of young people, the Hill District community, and communities around the world. Keep reading to meet the people and organizations involved, and check back for more updates as the 2019 Cohort prepares to travel abroad! These three amazing, Hill District-based organizations are already committed to providing opportunities for youth in the community. Without their partnership, none of this would be possible! Ujamaa Collective | Mission: To create spaces, opportunities, networks, education and support for women of African descent to grow as entrepreneurs, artisans, and servant-leaders so that we may “lift as we climb.” | Ujamaa Collective runs an artisan boutique in the Hill District, hosts pop-up marketplace events, offers arts and entrepreneurship programming, and inspires community wellness. They believe in creating strong and sustainable communities through cooperation over competition and agency for women of all ages. 2019 Cohort members from Ujamaa Collective will travel to Ghana in June. Center that CARES | Mission: to create a network of internal and external opportunities that offer step-by-step programming to prepare each child and young adult to achieve their life plans and goals in a safe, dependable, nurturing environment. | CARES supports children from pre-k all the way through college. Throughout their 17 year history, CARES has worked with more than 2800 students and their families. CARES offers enrichment programs year round designed to help children of all ages define and achieve their life goals. 2019 Cohort members from CARES will travel to Trinidad in June. Reaching Back | Reaching Back, a part of the Neighborhood Learning Alliance, connects young men with adult African-American male mentors. The program is centered on African traditions and the demonstration of values including selflessness, discipline, independent reasoning, physical strength, and service to the community. Participants complete the mentorship program in stages, gaining more responsibilities and privileges as they progress. Young men who complete the program are able to give back by becoming mentors themselves. 2019 Cohort members from Reaching Back will travel to Jamaica in June. These organizations are dedicated to making the Hill District Global Engagement Coalition as successful as possible by offering their services and expertise. Special thanks to the Henry L. Hillman Foundation and the Remmel Foundation for their support of this Coalition through generous grants and the Energy Innovation Center for donating their event space for our induction ceremony. Beyond Blessed Catering Co. | Beyond Blessed is a traditional and Soul Food caterer established in 2018 by a group of women from the Hill District Community in Pittsburgh, PA. Melvena S. Daniels, Co-Owner/Chef, Deanna Smith, Co-Owner & Toshia Butler, Event Coordinator: “We found passion and joy in feeding the people in our community and never knew that their dreams of entrepreneurship could be our reality. We don’t only bring significant experience from the kitchen but also a deep local knowledge of the Hill District community. We will make any event a pleasure and success. Our food for your soul speaks for itself and reflects our commitment to our business and quality of work. 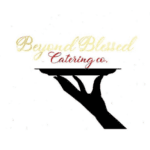 We take pride in our craft and are excited about growing and expanding our business.” Beyond Blessed Catering Co. will cater the induction ceremony in April!